Looking at the Square below on a sunny day, no one would guess its history but only think of it as one of the small garden gems of central London, used, enjoyed and played in by many. It is the square closest to Kings Cross. In 1769, the site of Argyle Square was in the centre of a field, home to the famous Dust Heap, a mountain of bones and cinders. By 1801, the thoroughfares which would become Gray’s Inn Road and Euston Road had been created, and in 1824, Thomas Dunston, William Robinson, and William Flanders purchased the 16½ acres of the field, to develop the Battle Bridge Estate. There was much construction over the next four years, but in 1828 a new scheme called The Panarmonion sprang up. It was to have been the Disneyland of early Victorian times, with theatres, pleasure gardens, assembly rooms, reading rooms, concert halls, refectories, and all manner of entertainments – even a monorail! Alas, problems with finance and the title to the land meant it failed before it began. One part of the scheme still survives – the building at the west corner of the Birkenhead Street and Euston Road. Development of the estate was resumed, and by 1832 Argyle Square had come into existence, at least on a plan, though the houses weren’t completed until 1849. The name ‘Argyle’ is derived from the Duke of Argyle who owned property in Kentish Town, and may have been an attempt to lift the profile of the neighbourhood by association with aristocracy. This situation continued through the 19th and into the 20th century. By 1922, the houses on the north side had been replaced by industrial premises, and by 1959 all the surrounding streets have their modern names. Prostitution remained, so that by the 1980s Argyle Square had become a by-word for vice in London, until a major cleanup in the 1990s, which gave us the lovely garden square that we enjoy today. This history is abridged from the Argyle Square Brochure, which includes more detail, and fascinating old maps and illustrations. Friends of Argyle Square (FoAS) was established early in 2009 to ensure that the Square is adequately maintained and that repairs, alterations and improvements are made in keeping with the historic character of the Square and its environment, taking into account its potential to become a premier address in King’s Cross. We also aim to conserve the natural plant and wildlife and to preserve and encourage a peaceful and tranquil environment, whilst recognising its heritage, biodiversity and community interest. Given the proximity of local businesses, social welfare and community organisations, we encourage public access without discrimination or detriment to the enjoyment of other users. 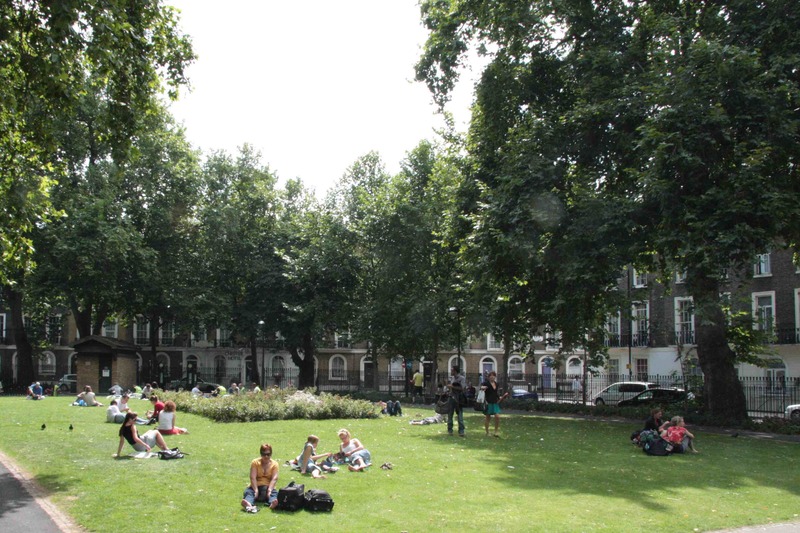 Argyle Square is maintained by Camden Council and is open to the public during daylight hours. I used to play in The Square when I was a Child,My Mother Worked in a Few of The Hotels in 60’s&70’sOwned by Woman called Johanna Bell,She lived in The Cressfield Hotel in Cressfield Street WC1. Thanks for your piece of history!